Fascia is a type of connective tissue found within the body. It is mostly made up of collagen, making it somewhat pliable but also very good at resisting tensile (pulling) forces. The body’s fascial system is continuous throughout the body, connecting your head all the way to your toes! Fascia is basically the support system for all of the body’s soft tissue structures (muscle, tendon, organ, blood vessels, nerves, etc). For example, fascia envelopes the individual muscles and organs and keeps them where they belong while still allowing for movement. 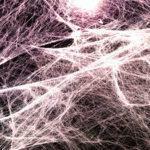 Fascia also plays a role in your immune, circulatory and nervous systems. Aside from being a support system, think of fascia as a “non-stick” coating to the individual soft tissue structures. Fascia separates your individual muscles and allows them to slide past one another, allowing for normal human movement. Without layers of fascia, your organs, muscles, blood vessels and nerves might stick to one another, creating significant pain and making it very difficult to move. Poor postural habits and repetitive stresses can create fascial restrictions or myofascial (muscle and fascia) trigger points. Fascial restrictions are like “sticky-spots” where different layers of fascia are no longer sliding past one another. These can create pain and affect the way you move. Myofascial trigger points are hyper-irritable points within the muscle/fascia. They can be painful and tender. Often when pressed they radiate pain to other areas of the body. How can fascial problems be treated? Fascial restrictions and myofascial trigger points can be treated in a number of ways. Massage, stretching, use of a foam roll and other methods can be used to improve myofascial mobility. Exercises can be performed to improve posture and reduce stresses that are being put on the fascia. A physical therapist can help you identify and address areas of pain and restriction and may also be able to help with more specialized types of treatment including myofascial release, cupping, trigger point release, instrument assisted soft tissue mobilization and more. How can the health of fascia be maintained? The most important way to keep your fascia healthy and pain-free is to decrease the amount of negative stress and tension on it. This is achieved through proper posture, exercise and efficient body mechanics. A physical therapist can help educate you on an exercise program and proper posture, work station set-up and body mechanics for when you are working or doing your favorite activities. What other factors contribute to the health of fascia? Myofascial health can also be affected by nutrition, auto-immune disorders, stress, pain syndromes and traumatic injuries. The body is very inter-connected and may require multiple pathways to healing and proper function. We are here to help. If you feel you need professional help to improve your posture, alignment, fascia or other conditions please don’t hesitate to contact us. Written by Tim Appleford, PT, MSPT, OCS, ATC, and Clinical Services Manager of the Bay Area Physical Therapy location.